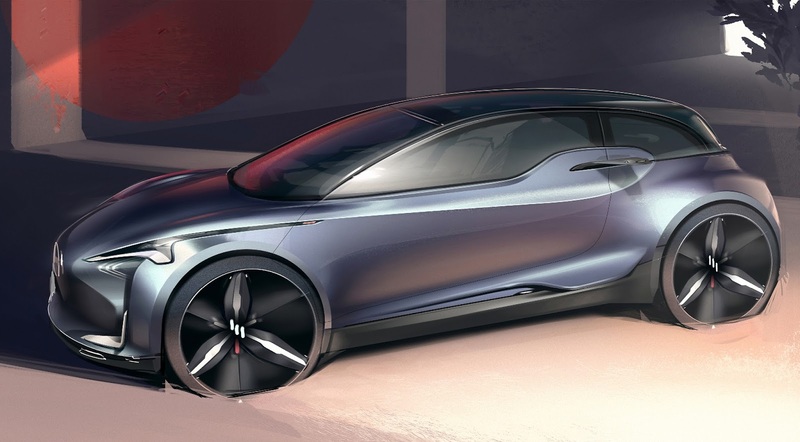 The Buick brand is trying to expand their presence in the United States and globally, so they decide that they want to introduce a C-segment vehicle into their lineup to compete wit European and Asian small segment vehicles. Buick decides to release a new concept car in anticipation of their new entry into this market segment. Organically Soft. Introducing a clean and refined aesthetic message with a focus on soft forms that transition into crisp edges all while maintaining the elegance that Buick is known for their current products. Detail Refinement. 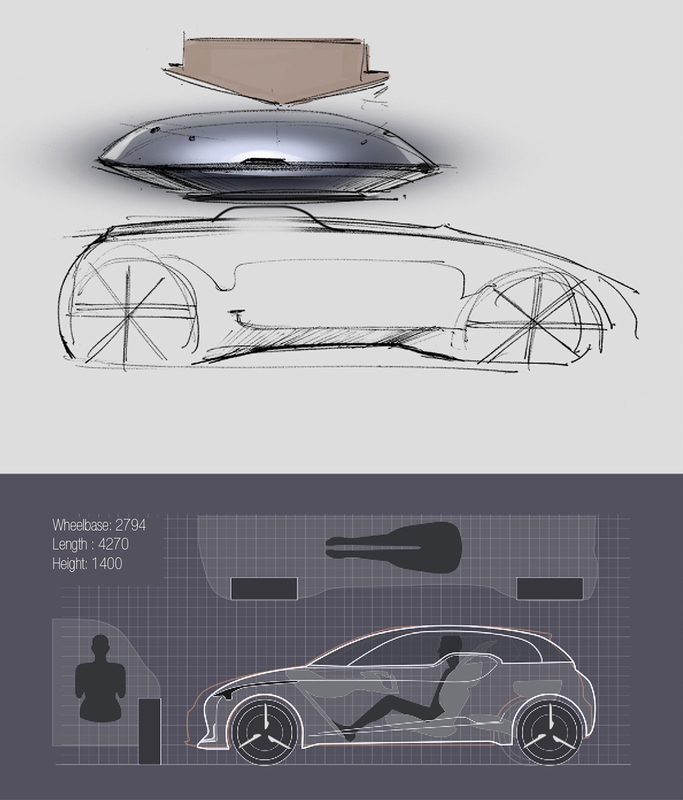 As an introduction to a segment with a long established proportion and consumer base, a significant effort was placed onto utilizing the details of the vehicle to set it apart from the pack. Succinctly Shear. The surfacing takes on a clean and clear pull between theoreticals and creates a shear movement around the vehicle. Cradled Cockpit. 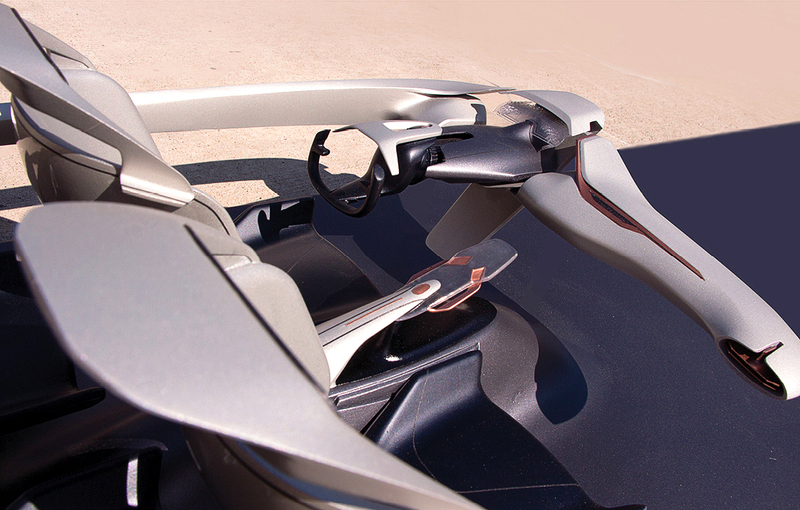 The aesthetic theme utilizes a bubble cockpit construction cradled by the sliced cut in the shoulder that wraps around the dual camera sensor unit. Non-Traditional Dash. The dashboard is pushed towards a simple aesthetic and functional direction and the primary interaction points have been delegated to the separated center console and steering wheel in order to optimize ergonomics. Structured Center. The driver and front passenger seats are supported through the center console island, with adjustable controls and screen interaction mounted between. Autonomous Capabilities. 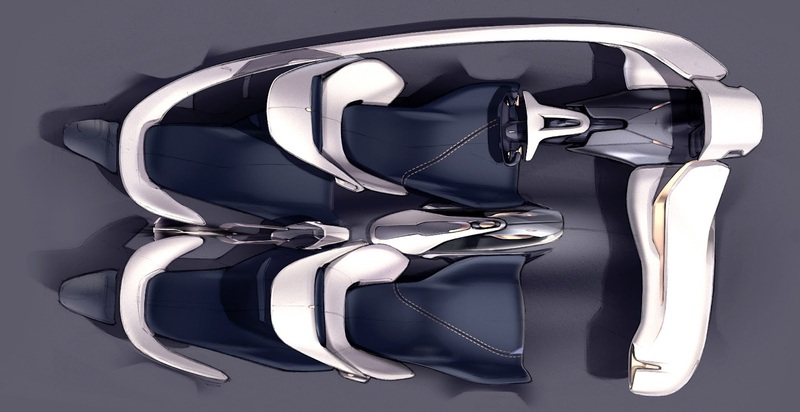 With semi-autonomous functionality, the interior can adapt to the changing needs of the passengers. The steering wheel recedes into the column when not in use, while the center console can pivot towards the front users for ergonomic comfort. Slingshot Theme. 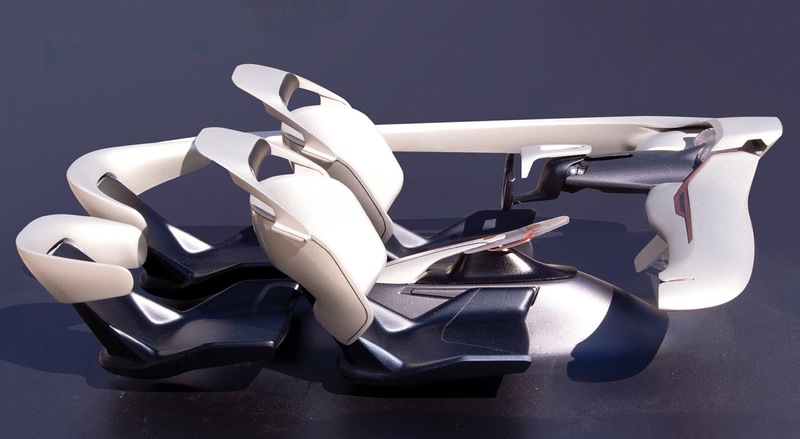 The interior space is encompassed by a strong sculptural element that travels through the dashboard and circles around to the rear seat, placing the passengers in a physical and aesthetic enclosure. Maximized Packaging. With an all electric power train, the firewall can be pushed forward in the cabin which opens up space for the passengers and makes for a more comfortable interior experience. 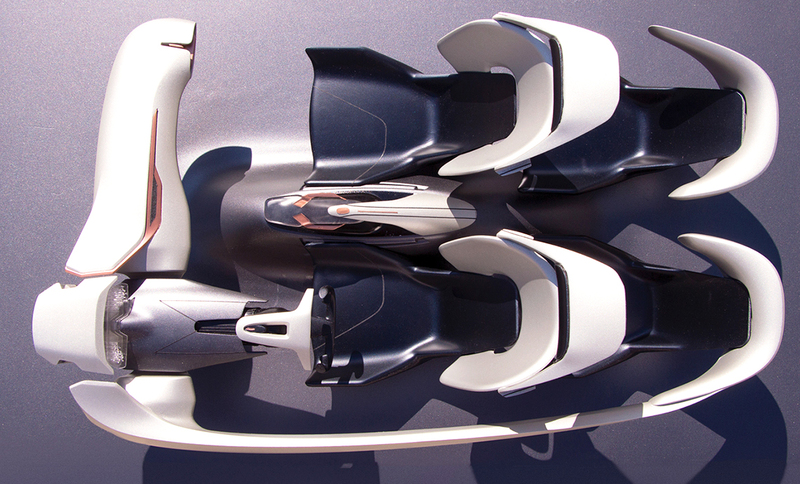 A final model was constructed using Alias Design and assembled at 1:4 scale. The model helped to validate and confirm proportion and detail execution and served as a great learning tool for improvements.